Doing a little web shopping before the hubby and I head out to a dinner rendezvous on Long Island. Trying to gather some fun office accessories for our next office space one piece at a time. 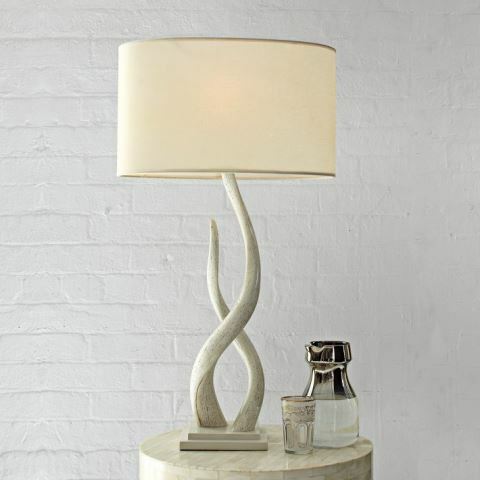 I like this horn motif table lamp for its rustic slick lines while at the same time its pretty functionally edgy. I've always been drawn to the fluidity of the horns curvaceous look and elegance...as probably can be determined by one of my favorite necklaces seen here. That IS pretty chic! If you have to share an office with a man, he won't complain that it's too feminine! Win-win!